Just before the end of the year I was having a walk down the beach with my mum and sister, all of Christmas my mum had been saying"they're saying every time you go to the beach you should try and pick up two pieces of plastic to help clear plastic out of the sea" and though I was very happy to hear her say that I was also a little ashamed I'd never done it myself. With an oceanographer for a father I'm well aware of the damage plastic does in the sea. And I have pictures dating back from when I was 14 taking pictures of oddities discarded on beaches but I'd never thought to actually pick them up and throw them away properly. So I wanted to change this, I was planning on going out every day for a week and going to pick rubbish up, but I only actually did one day because I was ill, revising, and the weather decided to take a turn for the worst, so it didn't quite go to plan, but I'll definitely try and do it for a week the next time I'm back home. Also considering doing it by the river Trent while I'm in Nottingham but I'm not sure about how that'll go. I have to admit I was very excited by what I might find, maybe I have a romanticised view of beach cleanups from following The Dainty Squid for too long, with her collages of multicoloured lighters and children's toys I was excpecting to find a myriad of excting little plastic curiosities, it wasn't quite that pretty. So of course, as I said above, I was hoping to go down there and find all kinds of colourful lighters, little toys, and hair brushes, when in realise I knew I'd probably just find some crisp wrappers and maybe the odd beer can. There were a few things I was not expecting to find, however. 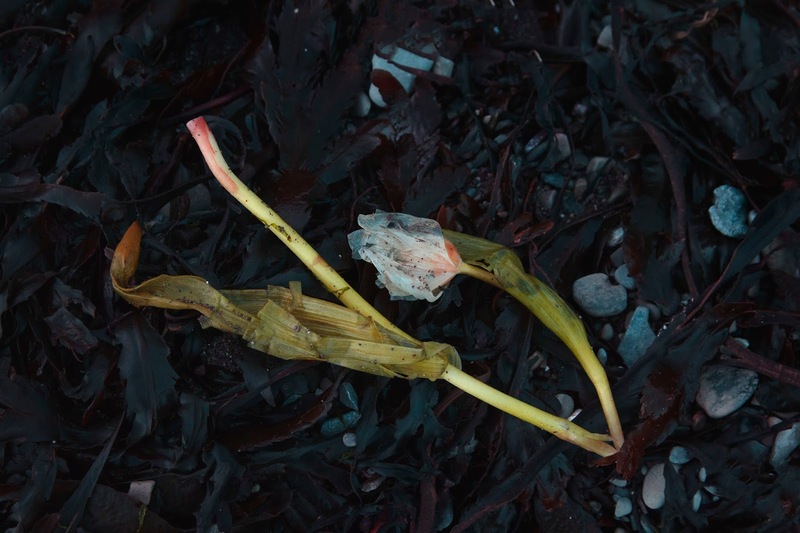 I started off just finding one flower, and then as a walked along the beach I found other bits of this bouquet strewn at least 30m down the beach and tangled among seaweed. 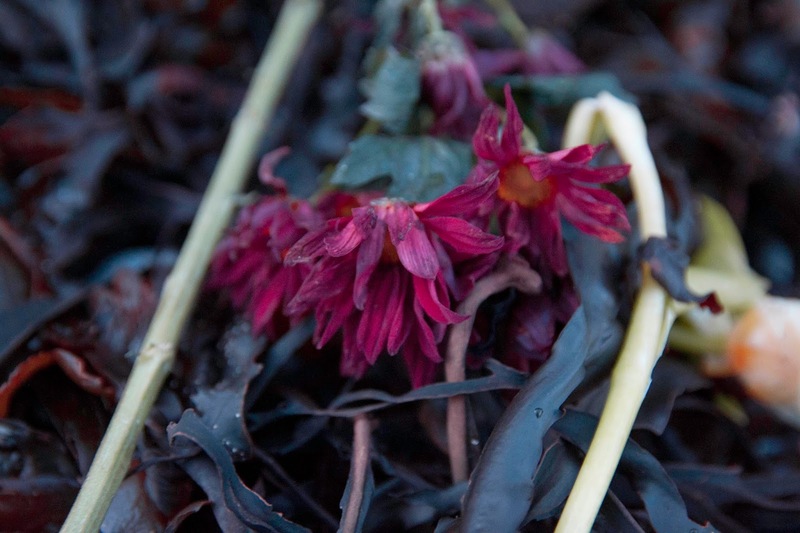 Though harmless for the environment if thrown away as just the flowers it did make me wonder how this bouquet managed to become entangled in seaweed across a beach. Were they purposefully thrown in the sea? Was it an accident? 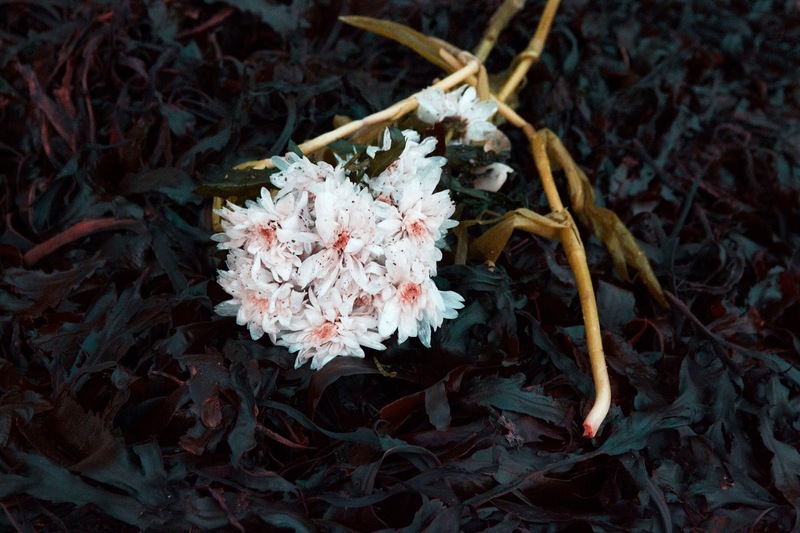 Were they taken by the waves, maybe from a memorial site? I will probably never know but it did brighten my day seeing them. I looked at these and said out loud "seriously?" 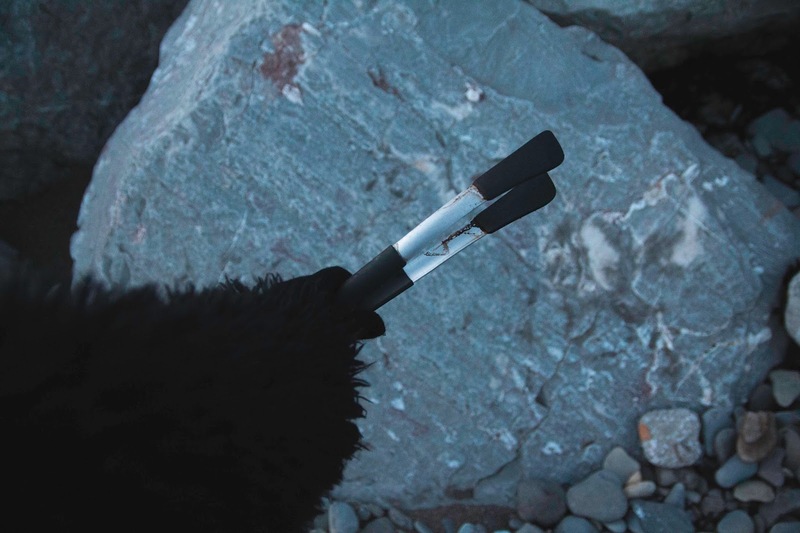 I mean I know people have bbqs at my local beach but I was not excpecting to find a working, albiet quite rusty, pair of fully functioning tongs on the beach at the end of december. 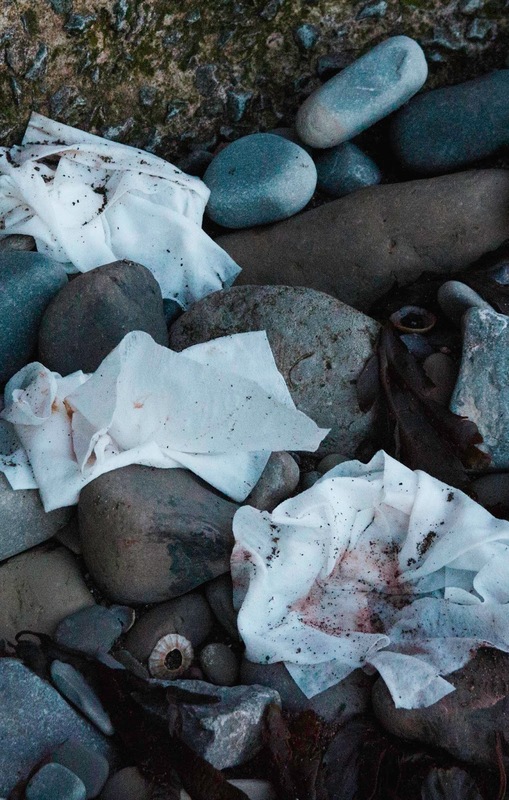 In an ideal world I would've loved to have picked up every little piece of plastic and litter off the beach but as one person wearing a pair of fabric gloves with concern for their own health I couldn't quite get everything. There was one wetwipe I did pick up, but I also saw a pile of them and I could not tell what was on said wetwipes and so I didn't really want to rish my health picking those up, especially as the only gloves I had on were fabric. 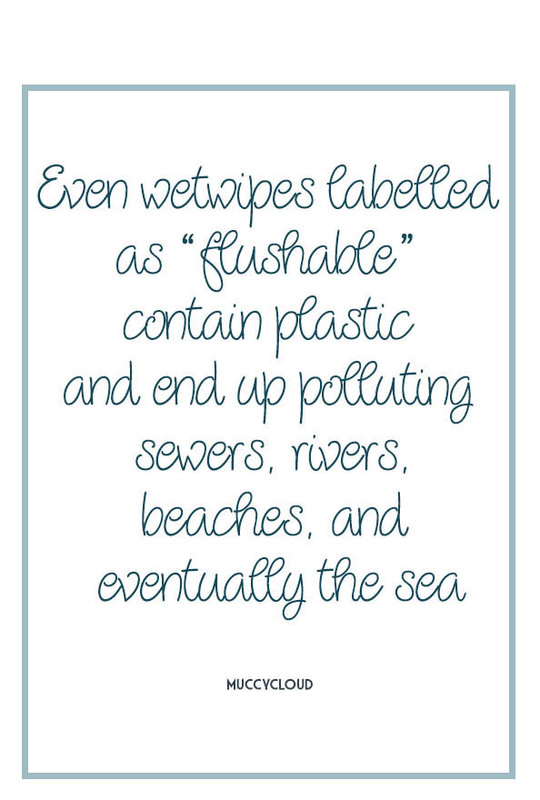 They were unfortunately things I saw a lot of, unsurprising as a lot of people seem to think that they're fine to flush down the toilet and therefore safe for the sea, but of course none of that is true! They contain plastic and usually spend their time clogging up sewers. A sad amount of these too, it's almost worse to leave dog poo on in a plastic bag on a beach than it is to just leave dog poo, or is this just me? For a beach that allows dogs my local one doesn't have too much of it, but it's still gross and dissapointing when you do see it. But with no spare bags, and no gloves this was not something I was equipped to tackle. I picket up some glass which had labels on, but most of the time I just left the glass to it, when I was little I'd collect beach glass for art projects and I may do something similar in the future but this isn't something, as far as I'm aware, that is a danger to the sea or marine life, in fact some studies suggest that this beach glass actually helps marine life. So I left this there for someone who wants to make something of it. 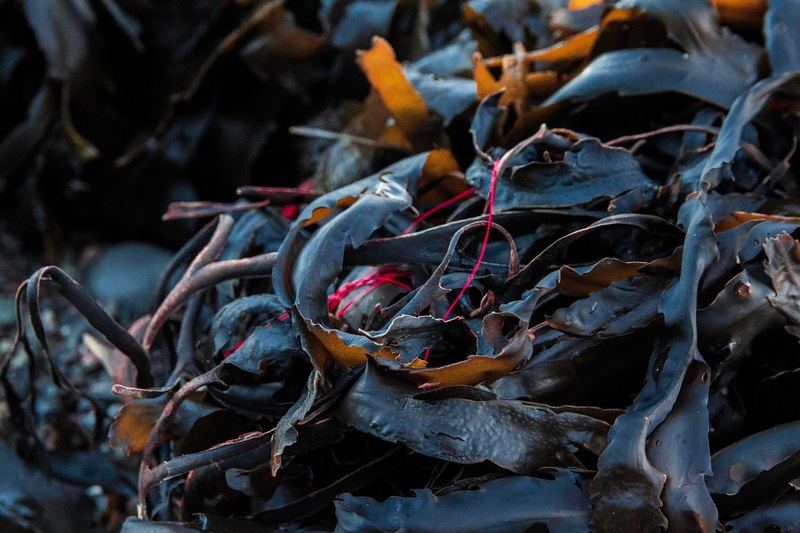 Other than the surprising and the gross there was an awful lot of fishing line, unsurprising for a beach you can fish on, this was all wrapped up in seaweed and almost impossible to get out. 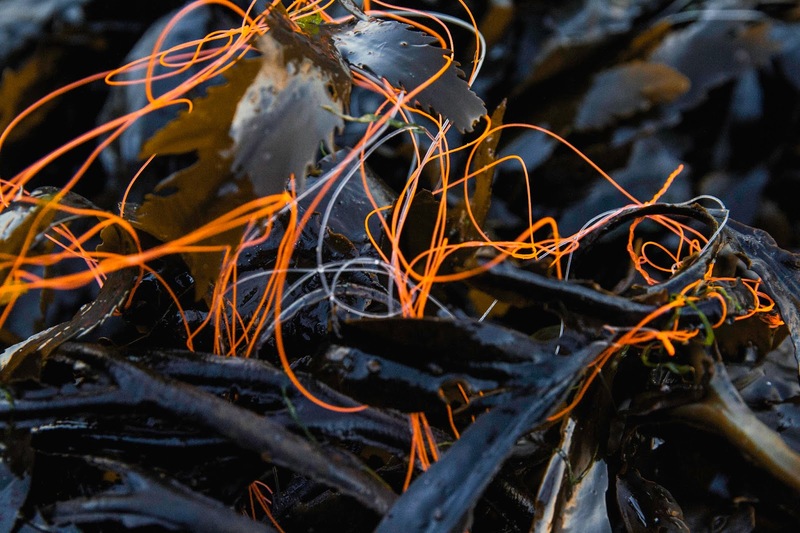 Though pretty it was also pretty frustrating knowing the damage this could do, and while biodegradable fishing line exists I highly doubt this stuff was. 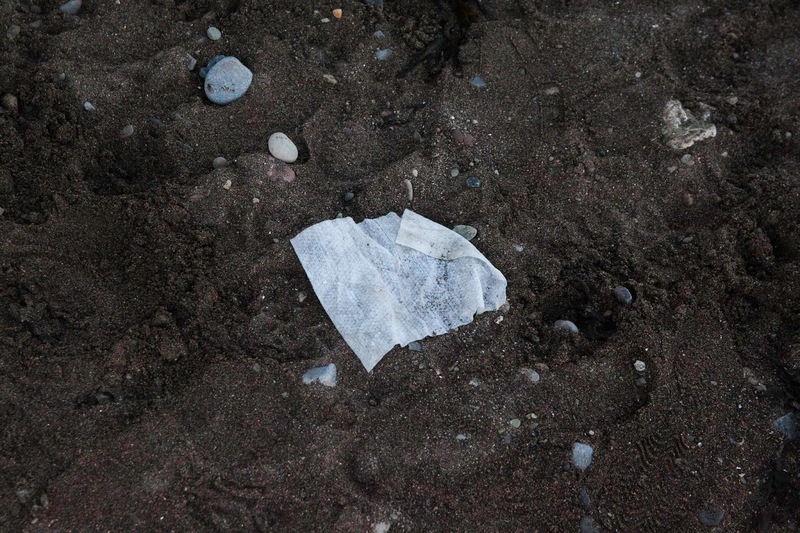 There were also a few coffee cups, some food packets and even some polystyreene, an awful lot for a half an hour walk along a beach which not much rubbish tends to wash up on. The picture below shows all of the stuff I managed to collect from just one walk along the beach. All of this points to a bigger problem, this was a beach with not much rubbish on, but there was still a lot there without having to look far, which is disgusting and things need to change. 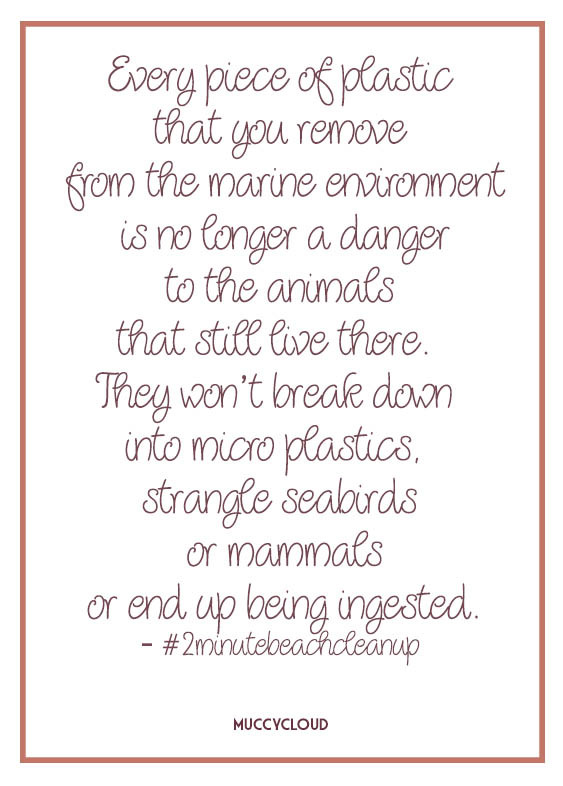 So along with demanding companies to use less plastic, and to switch over to biodegradable packaging when possible, the next time you're at the beach do a #2minutebeachclean and help just take a little bit of rubbish off the beach, which could otherwise end up in the sea. 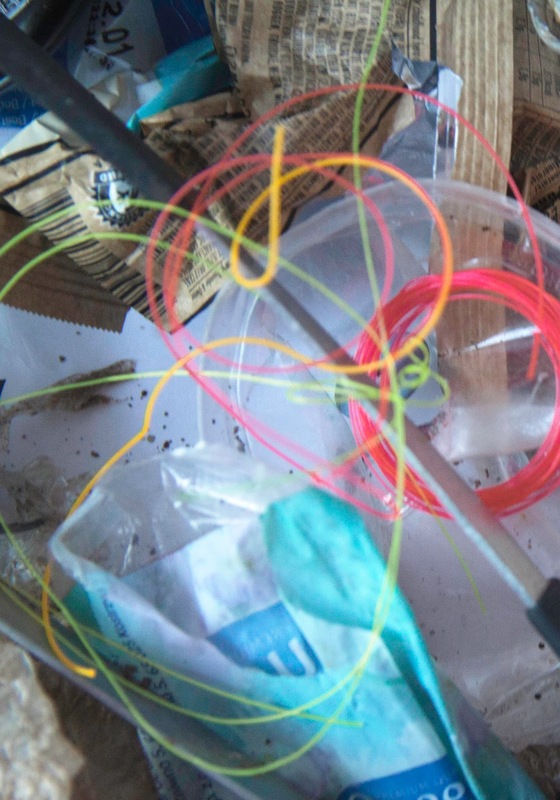 I really did enjoy a trip to the beach to pick up rubbish, so I'm sure you can have fun with it too. 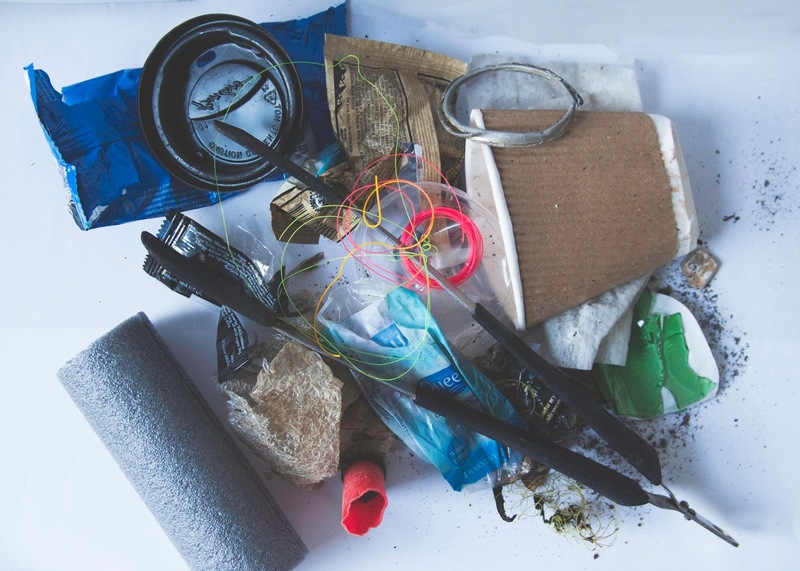 Also the organisation #2minutebeachclean have an app you can use to record your beach clean, note down what you've found and further fight against marine plastic if you want to go one step further with your beach cleaning skills. I know one person's effort doesn't even begin to make a scratch on the surface of all the plastic on beaches across the world, which is only a tiny tiny percentage of the plastic in the sea, but if everyone collected litter when they went to the beach then the world would be a little bit cleaner, a little bit safer for sealife and birds, and that's definitely something I can get behind.